Are you a Mazda driver looking for the highest quality service available for your vehicle in a convenient, easy-to-find Salt Lake City location? You’ve come to the right place. The folks at Jerry Lambert Automotive are here to help with Mazda service needs for residents of SLC, West Valley City, South Salt Lake and others, whether they involve simple tune-ups and brake checks or more involved repairs and replacements. Of course, your choice in auto service comes down to more than just where your auto shop is located – and we offer numerous other benefits as well. For starters, we employ only the finest auto mechanics in the field, all of whom are fully ASE-certified and have years of experience working on a variety of vehicle makes and models. The most important thing within your auto service is making sure the job is done right every time, and that’s our top priority. Mazda is a Japanese brand that takes its name from Ahura Mazda, an ancient Zoroastrian god of wisdom, intelligence and harmony. 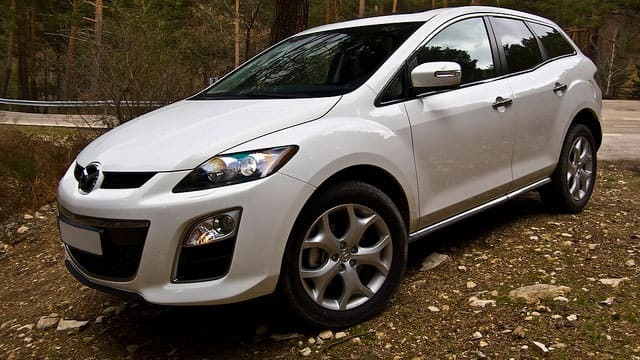 Mazda has grown increasingly popular in the US in recent years, making a variety of sedans, hatchbacks, SUVs and even trucks that combine performance and economy. At Jerry Lambert, we’ll help you maintain these vital areas. Our customer service is tops in the industry, reflected by our A+ rating with the Better Business Bureau that we’ve maintained for years. We’ll ensure you’re both comfortable in our shop and informed of any work being done on your car – you’ll never come to the counter after an appointment and find surprising new charges that we neglected to mention, as transparency is another huge area of emphasis. So if you’re in need of high-quality Mazda service in the Salt Lake Valley or surrounding areas, you know where to turn. Contact the service professionals at Jerry Lambert Automotive to set an appointment today, or drop by our convenient location.